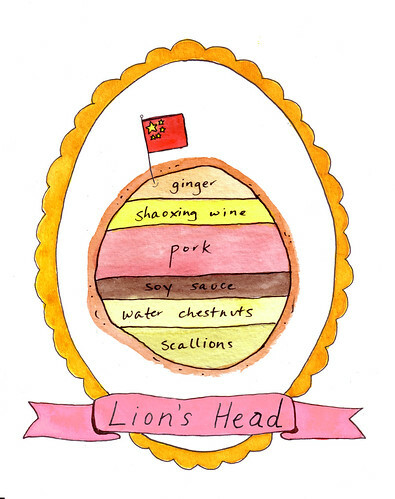 Lion's Head meatball, from China. Originally a Shanghai delicacy, this meatball has traveled through almost all of China's provinces. Usually pretty large...about softball sized... this meatball gets it's name from it's plate presentation, where it is surrounded by a cabbage leaf, which resembles a lion's mane.